Marlliam found me on instagram and reached out about booking a maternity and newborn package. It’s been so much fun from the start working with her and both sessions turned out super dreamy! Here’s a little Q&A about her experience and then the fun part…shares from both sessions! What have been the most memorable parts of this pregnancy? Did you have any pregnancy cravings? What were they? You made sure I was comfortable and you made it super fun with having so many different outfits to choose from. I absolutely loved both of our sessions you are super sweet , you made sure to capture gorgeous pictures of both my baby and I and I loved ALL of them, I was a little bit nervous because I didn’t know what to expect I didn’t have a photo shoot since I was 15, but I couldn’t have asked for a better photographer! I am super grateful. It is so hard to choose just one! But I love the pictures of me with the white gown those were definitely my favorite and with the purple one because it just popped. My baby’s photo shoot I love ALL of them. Now for the fun part, some favorite photos from each session! When Magdelana's session was rained out (thank you rainy summer), we rescheduled for just before her due date and crossed our fingers she would still be pregnant. When it came time for the session, a storm hit the area and it got really dark and windy out. We were bummed, but took it with a grain of salt and moved to the studio. She nailed it. Take a look for yourself! But first, here's a little Q&A we had about her session. What is the first thing that ran through your mind when you found out you were pregnant? I was surprised, but anxious to be a parent again and watch my son be a big brother! This pregnancy flew by so fast, probably because I was chasing a toddler around too! My son called her "poo poo" and insisted on this being her name. I craved all things sweet (just as the old wives tales say with girls), specifically mostly slushies and anything over ice. I loved how beautiful it made me feel! It was so comfortable and easy to work with Angie. She gave direction well to capture images and help distract/keep my son busy! I did not really prepare for the shoot besides putting myself together with hair and makeup. The experience was so fun and enjoyable! Angie was so sweet and kind hearted, allowed me to relax and enjoy myself through the session. I was a little nervous but talking with Angie helped me to laugh and just be myself. They turned out so amazing! Do you have other children? How do they react to the pregnancy? Feel free to share a little about them here. My son, is 2 years old, at first he did not understand but he grew to be excited to welcome his baby sister into the world. We practiced what it would be like and how he could be a big helper! Lincoln, has such a gentle nature he was so great through the whole process. When Nischinta came in for her dress fitting, I knew we were going to have a good session. She looked awesome in every gown. We decided on three gowns and our location. When it came time for the session, we were losing light much faster than we would've liked at our first location (the creek). It forced us to improvise and we made our way to a second location about five minutes away. What could've been a not so nice thing (running out of light) turned into a gorgeous second location with the most beautiful light peeking through the trees. Scroll down to see the images from both locations. I get asked often if dads and siblings can participate in a maternity session. The answer is YES, always yes! Of course! I would never say no to that! Alyssa is the first client who I've been blessed to photograph through three pregnancies. She was one of my first clients when I opened shop and has been so sweet to return to me anytime she needs a milestone photographed. She is the best at taking direction and trusting my vision. We have had a lot of fun over the years and this session was no exception. Just for fun, I'm flashing back to her previous maternity sessions and then please enjoy the most recent session as well! I can't wait to meet her newest addition! When Michelle walked in the studio, I couldn't wait to get started. When she said she was up for anything, I was even more excited! Needless to say, we ended up with a beautiful and very full gallery of images! You'll see them below, but first, here is some of what Michelle had to say. Thank you God..... I hope it’s a boy!! Finding out it was a boy!!! The excitement from our girls and family trips we’ve taken while being pregnant. Meat!! And lots of it!!! Bacon, burgers, pulled pork etc. any kind!! Feeling very comfortable, talking and feeling relaxed. I don’t have a favorite I love them all! What would be your advice to someone getting maternity photographs taken? I have two daughters ages 6 and 9. My oldest daughter was very excited and ready to have another younger sibling. My youngest on the other hand was very dramatic.... to the point she was on the floor crying. But now she is very happy and ready to be a big sister. Kelly has been a client of mine for a while now. When I was the first person she told about her pregnancy, I can't even explain to you how special that is! We pulled off a successful reveal session to her husband and just recently finished her maternity session. She mentioned never having done a studio session or anything like this before so I was excited to wow her with a beautifully styled studio maternity session! Here is a little from Kelly about her pregnancy so far and her experience at the session. Now we just wait for baby! I️ couldn’t believe we were expecting our third child! After 2 years of infertility treatments and experiencing our first loss of our first pregnancy. we didn’t think any pregnant was possible let alone 3. I️ was surprised! Seeing our oldest daughter understand what’s happening to mommy and love on my belly. Listening to her talk about her baby brother to be and seeing her excitement brings us so much joy! And how could I️ not mention keeping my known positive pregnancy test a secret for a few weeks so Angie and I️ could plan a surprise reveal to my hubby! He was so surprised! And it was such a perfect memorable time! A few! I’ve always craved sweets, but I’ve also enjoyed salty cravings like cheese curls and I️ love Golden Grams cereal! How simple and easy it was! I️ truly loved everything but I️ really enjoyed the studio session! I️ loved being able to change into many of the gowns. Feeling comfortable and relaxed made everything so easy and smooth! I️ prepared by doing my hair and makeup for something special! My experience was amazing! I️ was nervous doing a studio session because I had done an outdoor session for my last two pregnancies. However, I️ loved the change of atmosphere! It was so relaxing and the pictures turned out better than anything I️ had envisioned! I️ was so extremely happy with the decision to do a studio session and would do it again in a heartbeat! I love all of our photos and found it hard to just pick one! Embrace your pregnancy beauty! It is a beautiful time and feeling beautiful in the body your are in carrying that miracle baby is something that should be embraced! I️ have always felt self conscious! However I️ haven’t felt that beautiful since our wedding day! Even though my husband tells me everyday, there was something so special about our session that helped me embrace my pregnancy curves and appearance! We have two other children. Our daughter is 3 and she loves on my belly every single day! She understands better this time what’s happening to mommy. She asked everyday is baby is ready to come out yet! Her excitement is so contagious and such a joy to watch! Our son is 18 months currently and will be 20 months when the baby is born. He kisses my belly and likes pulling my shirt up! He points and says baby to my belly. I️ am so anxious to see the bond he develops with his brother! Him and his sister share such a close bond being 19 months apart and I pray that carries through! We loved everything about our session! We were both so pleased with our images and session. It was relaxing and easy to do with our two young kids! I️ haven’t felt that beautiful in a photo since our wedding pictures! I️ honestly can say there isn’t one thing that we regretted or didn’t like. Isla's mommy and daddy were first in the studio as a part of my Rainbow Maternity Project (See more here). I was thrilled when Danielle told me she wanted to bring Isla back for her newborn photos. She is a very special miracle so we had to incorporate some rainbow baby elements into our session. We were skeptical when we had our first positive pregnancy test. We had been trying for months to get pregnant and had a miscarriage in November. This pregnancy was tough for me. I was sick the whole time. While it was challenging, I loved feeling movement. It was my very favorite thing about being pregnant! The only food I craved was grilled cheese with ketchup. What was your favorite part about our maternity session together?I loved being part of the Rainbow Baby Maternity project. Angie gave me and other mommies a voice for our experience with loss and our journeys to motherhood. I felt so comfortable having my pictures taken, which I was very nervous for. I loved the dresses and Angie couldn’t have been any sweeter! How did you prepare for our maternity photo shoot? How was your experience? Were you nervous or worried before? How did it turn out? I was very nervous to do my own makeup, as I am not typically one who wears it frequently, but I felt good about how my hair and makeup turned out. I also was nervous about how my pictures would look because I always thought I was “too big” to look pregnant. Angie and my husband got me to feel so beautiful that day and I love how my pictures turned out and would definitely do it again. We had to be induced at 36 weeks due to complications with my Lupus. Our induction started on Sunday afternoon and Isla was born Tuesday morning at 10:09. Josh, my husband, was with me for the whole hospitalization. I couldn’t have done it without him. Isla was so cooperative and quiet throughout our session so it was easy for Angie to try new things and get multiple poses, which was so fun to see. I also loved that Angie incorporated a handmade blanket that Isla received from my Aunt. It made those pictures so special. 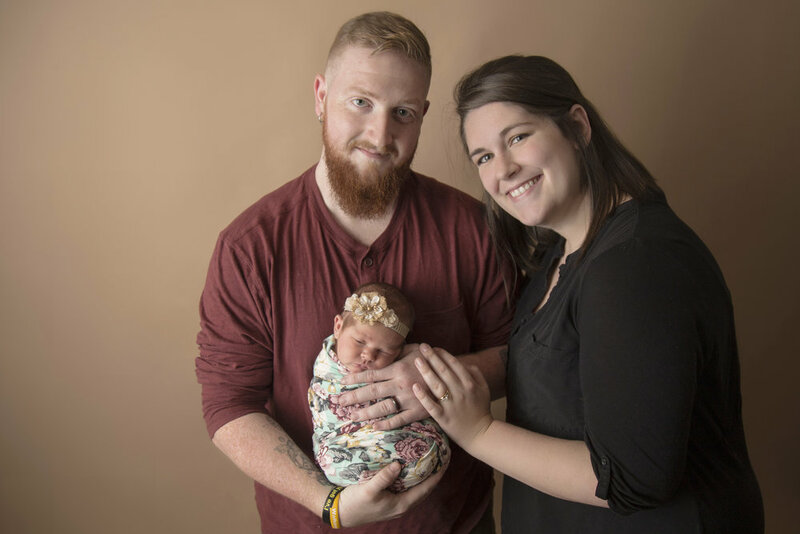 How did you prepare for your newborn photo shoot? How was your experience? Were you nervous or worried before? How did it turn out?I was very nervous that the baby would be fussy, but she did great! We followed the newborn guide Angie has on her website and she did a super job once she was swaddled. Feed your baby right before and make sure you have things that are important to you in the pictures, like our blanket. I worked with Ashleigh before throughout her pregnancy with Caleigh and then her newborn session. Their family recently moved away, but I was still excited for her when she announced her newest pregnancy. Imagine my excitement when she reached out and wanted to book her maternity session for the next time they were in PA! I was thrilled! She also wanted to incorporate a gender reveal which was super fun! As always, I had a little Q&A with Ashleigh and of course some favorites from their session! The excitement of growing another human! Also, looked very much forward to another beautiful maternity photography session! Just the laughter and trying to attempt something new with throwing color powder to reveal gender. We loved the annoucement and capturing the moments of our soon second baby girl. Preparing for the gender reveal, coming up with ideas and best choice to really capture the reveal. We loved our experience, it was a beautiful moment, a beautiful evening and environment. 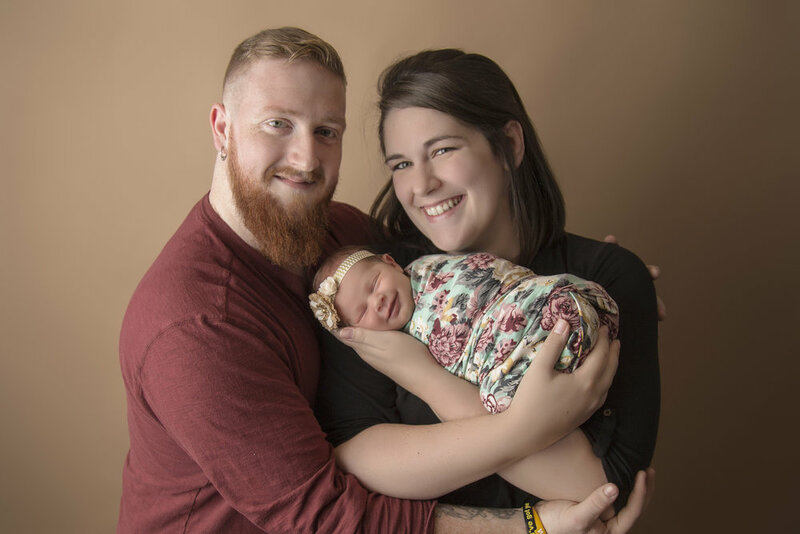 I was only nervous for my other 2 little ones making sure we could get good pictures with a 1 year old and 3 years old, but I knew in the hands of Angie, we were able to succeed! I love the photo of us sitting on the blanket, laughing. The kids are happy, daddy is happy and of course that makes momma happy! Yes. I have a 1 year old and soon to be 4 year old. My daughter doesn't fully understand. My son, who is the 4 year old, he rubs my belly and continues to ask if baby is still inside? He's afraid of missing the birth or not meeting the baby- surely he will meet her soon! We loved our session. We looked forward to it for months. When we see the moments captured, it feels like we were there ️again, the picture seems so real. Years from now, that moment and feeling will continue to feel real bringing back so many emotions and love from the journeys we are going through now. The kids grow up quick, life goes quick- and thanks for Angie for capturing these moments, were able to relive them and recall the evening at any given time. It's so hard living in another state, 17 hours away. We know we can never replace Angie. Krystan contacted me for maternity and newborn photos. I got her booked and we began planning her sessions. To say her maternity session surpassed expectations would be an understatement. She showed up looking gorgeous and we got to town putting on the gowns she had chosen for her session. She knocked the whole thing out of the park! Then fast forward to when Maddox arrived....he was an absolute rockstar for his session too! Slept like a champ and we were able to get through a variety of setups within an hour! As always, here's a little Q&A so Krystan can tell you a little more about her experience and then of course the photos! Enjoy! We couldn't believe it. I thought I had the stomach bug and had to call off work. I started calculating some timing and thought oh maybe I better check. We never thought we would get pregnant this fast or that we could. At first the second pink line took a while to show up as it was still very early. Then when it did I shouted to my husband "do you see that too?!" He asked me "what does that mean?" I said "I'm pregnant!" Feeling Maddox move! He was always a wild man in utero so it was so much fun for me to watch my belly move and feel him grooving inside. Maternity pictures also were one of my most favorite moments. I was not into them but boy I am so glad I did them. I felt so beautiful looking at the pictures Angie did! Fruit, corn on the cob and smoothies! I also craved a primo hoagie but resisted! My favorite maternity photos are the ones with the pink gown and dream lighting. It's so ethereal. Do it! Don't let your hesitation stop you. These are once in a lifetime pictures. I miss my pregnant belly but I always have the pictures! I was in prodromal (early) labor for almost a week before he finally decided to make his appearance. We visited triage 7 times before they decided to admit me. He was born at 2:02pm after 32 minutes of pushing. I shared the moment with my sister in law Brittni and my cousin Charity got to be the baby nurse. It was so special. I said to my husband "he looks just like you!" He has my husbands big lips. 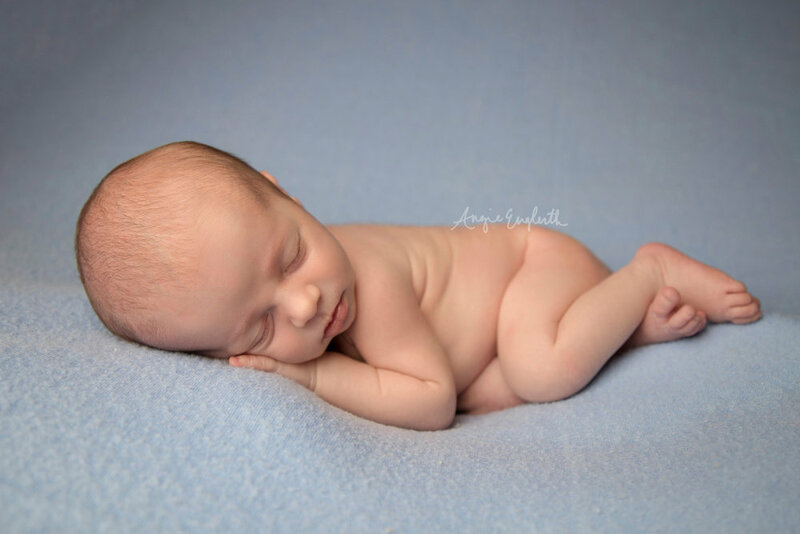 What was your favorite part about your newborn session with AEP? There were laughs and teary eyes you may not have noticed. With all the chaos after delivery it was easy to lose sight of what is really important. The newborn sessions has helped keep things in perspective. Just taking the time out to enjoy my baby. These first 2 1/2 weeks were very stressful and really tugged at my heart. I got time away from worrying about specialist visits or if I would ever be able to breast feed or have enough of a milk supply. Just being able to let my guard down and marvel in the child my husband and I created was so worth it. Angie was so encouraging too. She understood how I was feeling and offered support. Needless to say I pumped on the car ride home and it was the first time I had gotten a substantial amount of breast milk and it just made everything more perfect. The hunk hat! I loved the bean bag positioning aide. It was so cute to see them all snuggled in. How did you prepare for your newborn session? How was your experience? Were you nervous or worried before? How did it turn out? I showered. That truth is a feat for new moms. I washed my hair and put on makeup and a normal outfit and thought to myself wow okay this is good. I was nervous for my maternity shoot but once you put one of those gowns on you feel like a million bucks. Both sessions have surpassed outstanding! her and her family has been such a pleasure! I look forward to many more sessions in the future! Here's a little Q&A regarding her first two sessions with AEP and some favorite photos from each session! Enjoy! Having my son talk and kiss my belly! Being able to share the experience with my father and sister in law. How kind and personable Angie was. I immediately felt comfortable. It was like I found a long lost friend. How did you prepare for our photo shoot? How was your experience? Were you nervous or worried before? How did it turn out?The experience was great! I was very nervous before hand. I knew that there were gowns to put on when I got there and I was petrified that they wouldn't fit! I never should have doubted the process! Angie has MANY gowns in ALL different shapes and sizes. She made me feel beautiful. Do you have other children? How do they react to the pregnancy? Feel free to share a little about them here. We have another son who's 4. He is all boy! To be honest, he really didn't care either way about having a sibling during pregnancy. What is your baby's name? Birthday? Birth weight? Height? Any other birth stats you'd like to share?Jaxson. 2/28/17. 6lb 12oz. 20inches. The patience and interaction that Angie had with our 4 year old. She got him involved and her calm demeaner allowed him to relax! She even let him take a picture! Although I love ALL the pictures (not kidding, I picked them all), my favorite pose is with my husband and I looking down at Jax. Angie caught him staring right at her! Per Angie's recommendation I arrived at the studio with our newborn for his solo shots before my husband and our other son arrived. It was the best advice anyone could have given! I was nervous with an active little 4 year old man how the pictures would go. We've been thru the sessions before where he would scream and flail- an experience that you never want to do again. But. This time it was different. Everything went perfect. Don't go in with a certain photo pose in your head. Sometimes your little one won't cooperate. Allow Angie to do her thing and you'll get an even better picture than you imagined. Mariana contacted me about doing an outdoor maternity session back in November. It was definitely quite chilly, but I thought it would be nice! I was wrong...it was way better than nice! Mariana looked stunning and the winter light was so perfect! I asked Mariana a few questions about her pregnancy and our session together. I was very happy. The first thing that I thought of was if it's going to be a girl or a boy. The most memorable part was when I first felt my baby move. It is absolutely amazing! Did you have any pregnancy cravings? Up until 14 weeks, I craved fresh cucumbers. Closer to the end, I would crave sour cream and bread. My maternity session was absolutely amazing. Angie directed my posture, which made my pictures look great! I was very nervous about the session, because it was the first time I had such experience. The pictures are amazing and very professional. I did not expect such a great outcome. All the pictures are great. Quality wise, all of them are amazing, but there is one picture that gives me goosebumps. It's the one where me and my husband are looking down at my belly and I wear a blue gown. I would tell them to go to Angie, because for me to advice anything would be too much talk. Angie would do the work for you. Excitement!!! We were thrilled to find out, a little shocked it happened so fast but overjoyed! It's all been an experience we'll never forget. Seeing James's love and affection grow for me and our child has been the best part for me. You know you love each other but sharing the gift of baby is such a blessing and we have just grown so much together threw this chapter of our lives. Yes milk and cereal threw my first 12 weeks of nausea. Since then I'm craving ice cream and peanutbutter cups. Being in the woods, I love nature and just putting on all the amazing gowns and feeling beautiful. I think it's important for women to feel beautiful during pregnancy especially near the end and what a better way then doing a photo shoot like this. I had no expectations, I went there with an open mind and was very excited for my shoot. They didn't do this stuff 10 years ago when my son was born so for me I couldn't wait! Angie was awesome to work with and very down to earth. I loved every minute of it! I do not have a favorite one but more like a bunch. I love all my photos making it hard to pick which ones we would want. My advice to someone getting maternity photos taken for the first time would be you won't regret it and to have fun with it! It's a fun experience! Do you have other children? How do they react to the pregnancy? We both have children he has a daughter that is 7 we don't have her much but she seams to be excited. I have a son he is 10 and for 8 years it was just us, he was excited then went through a phase of not wanting the baby, but now he is just as excited as us. I loved this experience and would recommend it to all mamas expecting a little one.